NIA CHARLESTOWN NEVIS (December 01, 2016) — Junior Minister in the Ministry of Social Development and Gender Affairs on Nevis Hon. 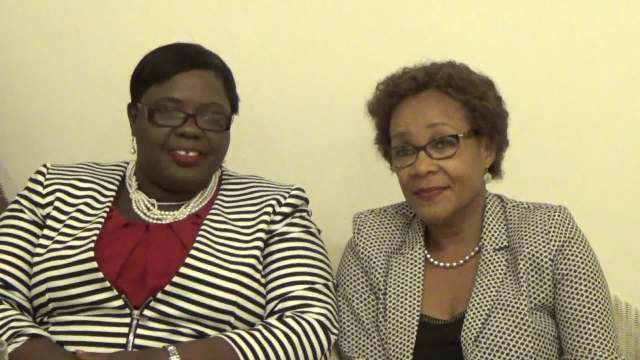 Hazel Brandy-Williams, says the Nevis Island Administration (NIA) continues to establish programmes to improve the skill set of women to enable them to secure higher paying jobs, which effectively elevates many from their current positions. The Minister’s comment came when she officially opened a one-day Women’s Forum on the role of women and girls in the 2030 Sustainable Development Goals. The event was held in collaboration with the United Nations Population Fund (UNFPA) at the Mount Nevis Hotel on November 30, 2016. Mrs. Brandy-Williams explained that in the quest to eradicate poverty, if women are empowered economically, they would be better able to provide for their children and families and improve their financial status. However, she said if investments in women are not made, they would be unable to provide for their families in a meaningful way and invariably, the poverty cycle would continue and when any country undertakes a poverty-analysis it must be gender sensitive. She said too often the issue of gender equality is approached as an isolated one, not realising how it is intertwined with many other critical spheres of social development and various associated challenges. The Minister expressed the view that gender issues and the treatment of women are also intertwined in the healthcare system, particularly as it relates to matters of maternal health. In the area of economic development and competitiveness under Sustainable Development Goal Number 8, she stated that any society which discriminates against its women, obstructs the economic potential of large shares of its population, which in turn, lowers economic growth and results in poverty reduction. Mrs. Brandy-Williams said if women are assisted in developing more skills in higher-paying, male-dominated areas, governments would be helping to spur greater completion and bring about more productivity. “This is the sort of liberal and broad-based approach which must be employed in dealing with the empowerment of women. An approach which shows an appreciation for the multi-sectoral linkages and the multi-sectoral impact which gender equality and female empowerment has on the overall development outlook of the country,” she said. The Gender Affairs Minister was hopeful that the forum’s participants would be more educated and enlightened about the Sustainable Development Goals and how they could help to make them a reality through individual contribution or community action. “It is also my prayer, that the increased gender sensitization that this forum will bring about will make you more eager, to join the movement and partner with government and civil society organisations, to promote the rights of women and girls everywhere,” she said. The 2030 Sustainable Development Agenda, adopted in 2015 by the United Nations General Assembly, covers a number of critical areas of concern for women. They include poverty eradication; education and training; maternal, sexual and reproductive health rights; economic empowerment; reducing violence against women and girls; and promoting women in political leadership. 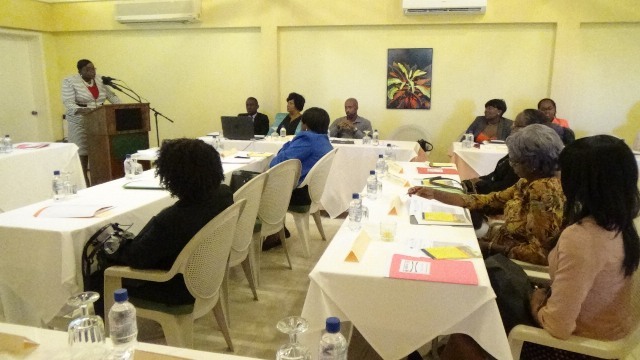 Other remarks came from Siti Batoul Oussein, Deputy Director of UNFPA Sub-Regional Office for the Caribbean based in Jamaica and Director of Gender Affairs in the Ministry of Social Development Lorraine Archibald. The Vote of thanks was delivered by Shelly Liburd of the Gender Affairs Division.